A very attractive three storey, four bedroom period house in a terrace of just four houses on Mylor Creek with wonderful views across the water to unspoilt countryside. 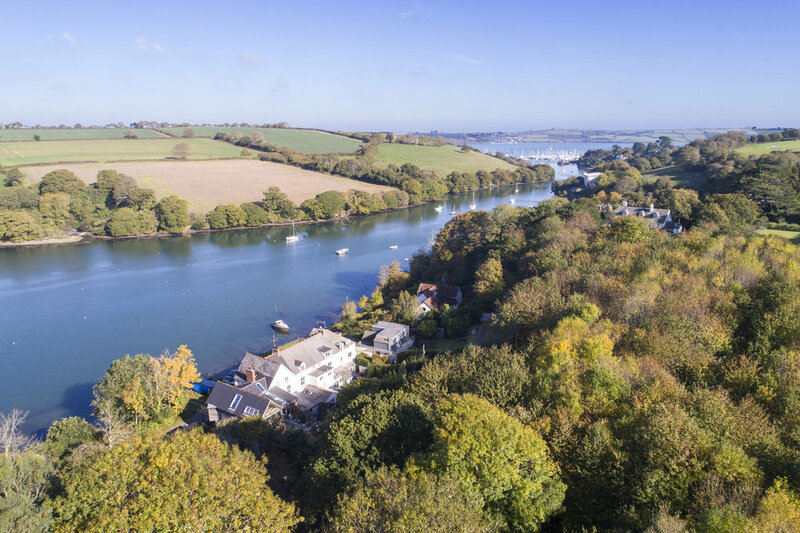 Church Road has long been regarded as one of the best residential addresses in Cornwall and is a no-through road which winds its way along the creek from Mylor village towards the Fal Estuary, ending at a small beach before Mylor Churchtown. As well as direct access on to the creek from in front of the house, some of the best sailing facilities in Cornwall are within walking/cycling distance at Mylor Yacht Harbour where there is a yacht marina, deep water moorings, boatyard facilities, café, restaurant, watersports shop and of course the impressive Mylor Yacht Clubhouse. boatyard facilities. Keen dinghy sailors will appreciate the high quality racing at Restronguet Sailing Club only a couple of hundred yards further along from the yacht harbour. Also within walking distance is the thriving community of Mylor village itself where there are shops, a doctors surgery, primary school and the Lemon Arms Inn, whilst the famous thatched Pandora Inn is down at Restronguet Creek. Riverside is one of an attractive terrace of just four period houses with frontage to Mylor Creek and unobstructed views across the water to unspoilt countryside beyond. 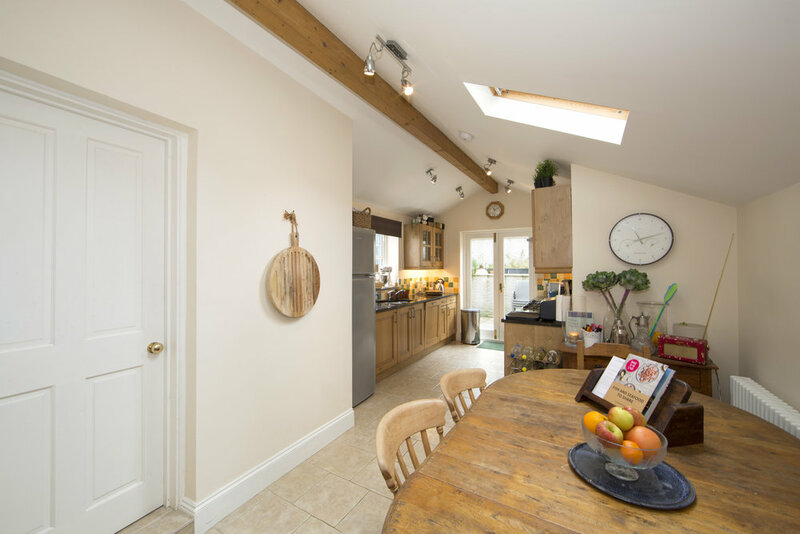 The house has spacious and very well presented accommodation over three levels, with a 21ft living room having a bay window and fireplace, and leading through to an 18ft kitchen on the ground floor, besides a useful utility room and cloak/wc. There are four bedrooms and three bath/shower rooms over the first and second floor with some wonderful views across the creek. The house was sympathetically extended and refurbished by the present owners several years ago, and would we feel lend itself to use as a permanent or holiday home. We should add that Riverside is one of very few houses in this part of Cornwall that have a ‘front row’ position, and direct water frontage at this price point. To the front there is a generous parking area with space for two cars/boats on the opposite side of the lane with a private set of steps down to the foreshore and creek. Immediately to the front of the house is a small garden setting the house back from the lane. The rear garden can either be accessed from the kitchen or via a right of access to the rear of two neighbouring houses. (Please note there is no right of access across the rear of Riverside) Outside the kitchen is a courtyard with a useful storage area for bins, recycling and also the Calor gas bottles. Steps lead up to a sunny dining/barbeque terrace, with a further short flight of steps rising up a grass bank, with spring bulbs to a small elevated area of grass backing on woodland and with glimpses of the creek. From the centre of Mylor Bridge, proceed downhill past the Lemon Arms and over the bridge, bearing left at the mini roundabout. After leaving the traffic calming take the second left at ‘Six-Turnings’ into Church Road and follow the road until reaching an area where the creek is open to your left hand side. Riverside is the second property on the right in the terrace with its private parking area directly opposite. Strictly by appointment with Jonathan Cunliffe. Prior to making an appointment to view, we strongly recommend that you discuss any particular points which are likely to affect your interest in the property with a member of staff who has seen the property in order that you do not make a wasted journey.